One of my best clients is an electrophysiologist, who is a cardiologist who went for an additional three years of training after his cardiology residency to learn about the electrical system that operates the heart. He uses very sophisticated equipment in order to analyze the electrical conduction in a patient’s heart, which includes electrophysiological studies of the heart. A typical bill may be $4,500, and if the patient’s insurance does not include the physician in its network, the physician is out of network and the services are treated as an out of network expense by the patient’s insurance company. 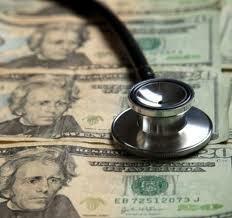 In that case the patient is issued a payment for the amount the insurance company deems appropriate. For example, if the bill is $4,500, and the patient’s insurance company pays $2,000, because the doctor is out of network, the funds for the procedure will be sent to the patient directly. Most patients, of course, are responsible citizens, and will turn the full amount over to the physician immediately. He then has to decide if he’ll be billing the patient for the remaining $2,500, or if he’s satisfied with the amount that has been paid by the patient’s insurance company. That is the physician’s decision entirely. Just because the insurance company considers a certain amount as “usual and customary” does not mean that the physician is bound by the insurance company’s evaluation, specifically for out of network services. Leaving that issue aside, the question becomes, what happens if the patient receives the $2,000 but does not turn it over to the physician. It then becomes an issue for the physician to sue the patient, as the patient has, in effect, violated his agreement with the physician by keeping funds that he only received due to the physician’s medical services. Sometimes the patient is looking to hurt the physician, and will do this with multiple physicians and then file a bankruptcy petition. In these instances, the physician has the right to attempt to block the discharge of the particular debt in the patient’s bankruptcy proceedings, as the patient has violated Section 523 of the Bankruptcy Code by committing a willful or malicious injury to the person or property of another. When laws are discussed by the Congress, a legislative history is created. When the statute is ambiguous, courts sometimes look to the legislative history for interpretation. It happens that in the Bankruptcy Code, in the legislative history, there is language that specifically covers the situation we are discussing. This establishes that the patient/debtor took the doctor’s money and he kept it, and this argument can be used by any physician who has been defrauded by a patient. It’s important for a physician to get started with a lawsuit as soon as he or she learns that the patient has misappropriated funds, or is otherwise not paying for his medical services. This kind of fraud committed by a patient voids any possible commitment a doctor may have had to accept a partial payment as payment in full, and physicians should contact an attorney as soon as they’ve established that the patient has kept money sent by the insurance company. It’s extremely important to collect money as soon as possible, and a lawyer can get you results far more quickly than a collection agency, as they understand the ramifications of the problem and can start a lawsuit to get quick, effective action. Bankruptcy situations frequently arise and require prompt attention by the creditor’s attorneys. One situation recently came to my attention. I was collecting from a former patient on an Income Execution. An Income Execution can be issued by an attorney after a judgment is obtained. Under New York law, an Income Execution requires an employer to deduct ten percent of the judgment debtor’s wages and send it to the sheriff or marshal. In this recent case, while the Income Execution was in place, and it had been in collection status for more than two years, I received a note from the sheriff who advised that the debtor just received a discharge in Bankruptcy. That was the first I knew that this debtor had ever filed Bankruptcy. I was able to check on the judgment debtor’s Bankruptcy case online, and I learned that the debtor never named my client in the Bankruptcy petition. Clearly, without having notice of the Bankruptcy petition, my client had no opportunity to object and try to prevent the discharge of the debt. Therefore, my client’s remedy is to ask the Bankruptcy court to reopen the debtor’s Bankruptcy case and allow my client to commence an Adversary Proceeding to prevent the discharge of the debt that is presently in the Income Execution status. This is something that clients obviously need attorneys to do on their behalf, and the attorney should be someone familiar with collection law, creditor’s rights, and the Bankruptcy Code. This entry was posted in Collections and tagged collections for medical professionals, corporate collections. Bookmark the permalink.